Rebuilding An Old High School Friend! Discussion in 'Builds and Fabricators Forum' started by Fly Navy, Feb 11, 2015. Well ENOUGH procrastinating! Time to start my own thread. After many hours of enjoyment, looking over the work of others and learning what I can, I guess it is my turn to contribute. So the project: My Dad always referred to it as a 56, but I noticed the other day as I was cleaning it out that it was titled as a 58... I checked the serial number but it came up as a 57. 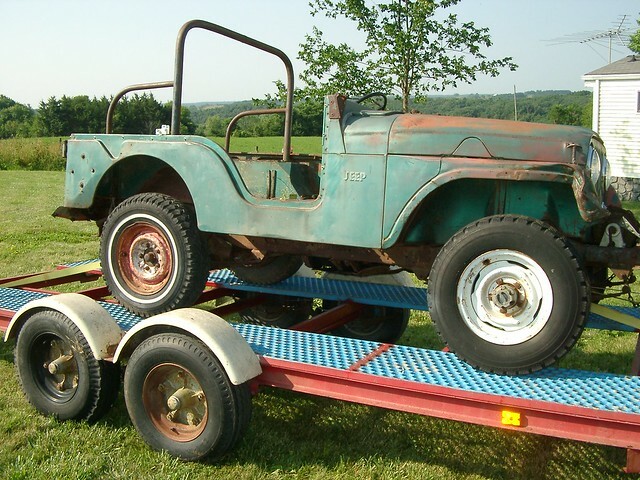 Regardless, I decided it was time to bring my, take your pick, 56.. 57.. 58.. CJ5 back to life. Here are some old pictures of it back in the day. My Dad bought the jeep when I was in elementary school. Turned out the old F-head had a burnt valve so it sat in the yard until I was in middle school at which point he had me pull the engine apart only to find it had a crack running between the two middle exhaust valves. It took a while to find a good block but ultimately I rebuilt the engine and drove it all through high school. I bounced it all over central Colorado up until I went to college, at which point my brother drove it for a little bit while I was at school but largely it's just been sitting and waiting. Fast forward a few YEARS... and as I get ready to retire from the Navy, I've decided it's time to rebuild it. I was looking over some UTV's one day thinking it might be nice to have one for work around the farm and hunting, when I realized for the same money I could rebuild my Jeep and actually have something I could drive up and down the road as well! So that is the plan. Build it into a farm/hunting rig. My budget... $10k. 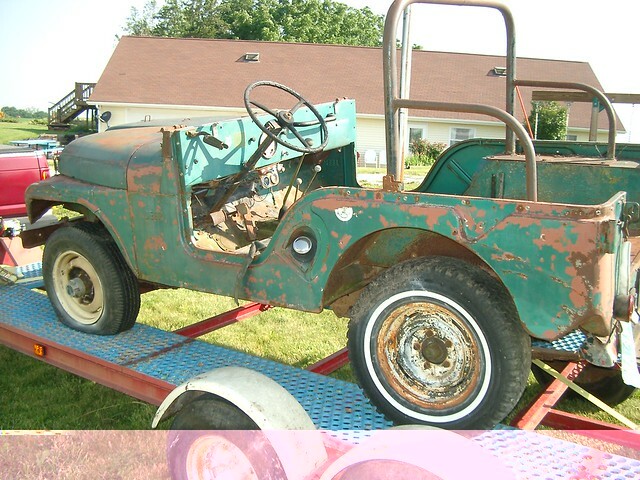 Valentino84, 71CJ54WD and Hellion like this. So here I am picking it up from the family farm in all her... er.. Glory? Over the years, my parents had moved back to Iowa to take over the family farm. Fortunately my little CJ5 made the trip as well. Unfortunately, the humid wet Midwest and a deteriorating top worked together to rot out the floors. 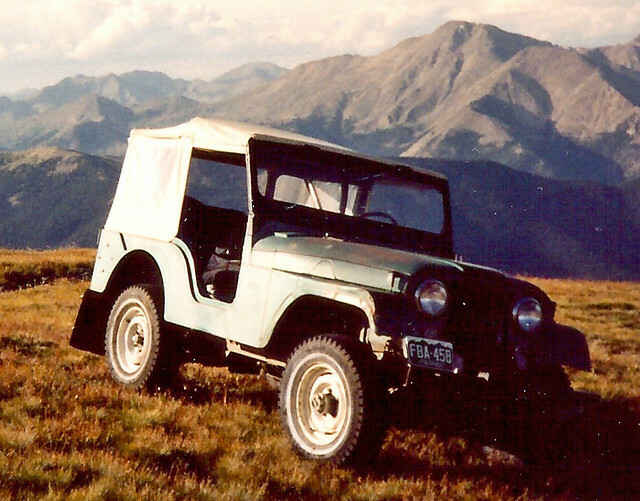 But aside from that, at it's heart, it is a solid Colorado Jeep and rust free. Nice - anything with 5 shifters is worth a little effort to get it back up and running. Have fun and keep us posted. How many shifters do you need, lol. Nice project, that will be fun. 5 shifters would be what? 2 4wd, 2 for pto, one for driving right? You forgot the OD lever, if he has one. if you had a 2 lever PTO, you could have 6 sticks in it. The 5 in mine confuse must of the people. I really can't tell what he has from the pictures. You can have a pto and overdrive combo? Certainly, do a search here on the forum or check out a few of the better vendors sites out there. They are still being made. Expect to pay a bit for one however. That thing looks like a great candidate to repair. Yep, 5 levers... 1 for the transmission, 2 for the transfer case and 2 for the PTO. But yes, the plan is for 6!! Love the story/background, now time for an old friend to come back around! Just curious....do you have any idea where those old pics were taken? So the plan! I thought seriously about keeping the F-head given that it is the first engine I ever rebuilt and in fact has very few miles on it. 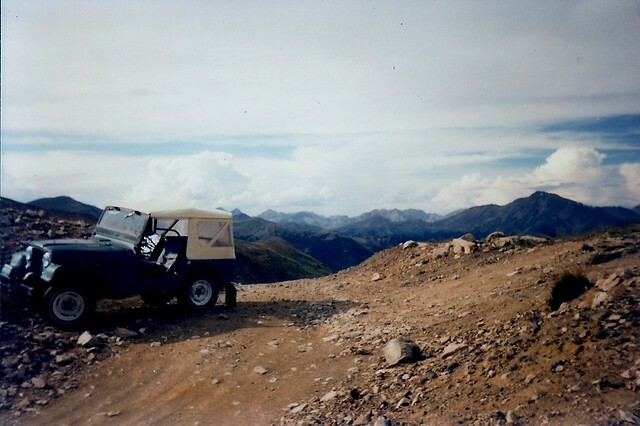 But memories of having to stop continually to re-tune it as we climbed up and down the Colorado mountains in order to maintain some level power and the fact their parts are becoming very expensive and the fuel mileage is poor indeed considering the power they put out all convinced me to re-power it. I wanted to put a little diesel in it... a 1.9L VW diesel to be specific but it became evident that would push the project well beyond my $10k budget. As it turned out however, it just so happened we had a 1990 Buick Lasabre with only 120k miles on it sitting on the farm waiting for us to salvage it. So I decided, given the long history of Buick engines in Jeeps, I'd put the little 3800 from the Lasabre in it. This way I would have fuel injection and a level of drivability the old F-head never possessed. I will also dump the three speed for a four speed... 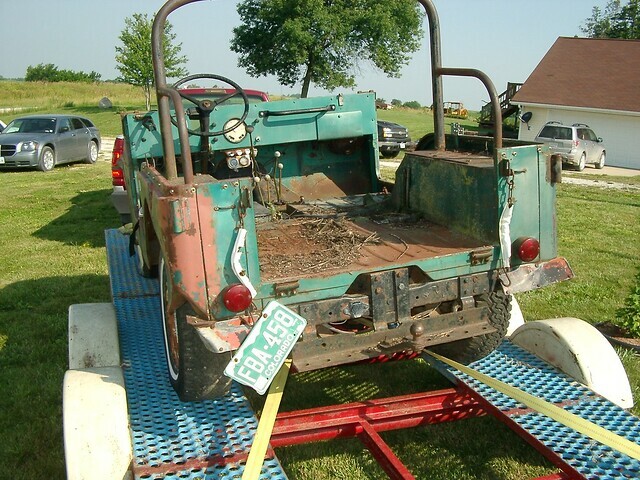 I have sourced a T18/T98 from my Dad's old IH farm truck who's life was prematurely cut short by a road grader. Valentino84 and Hellion like this. Don't forget the brakes. And what area of iowa? I've spent a lot of time in that area....thought it looked familiar. I like your plans for the Jeep!